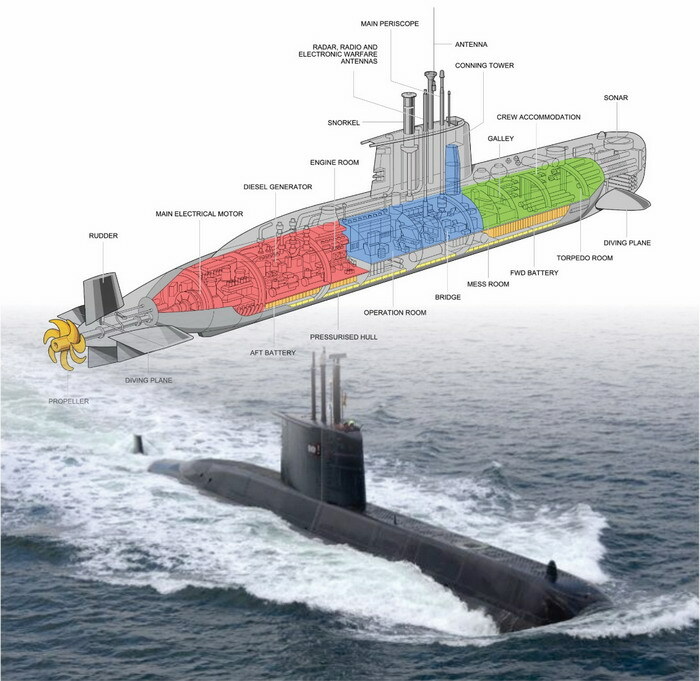 Sigma has provided technical documentation for SA Navy Type 209 submarines. In much the same way that maintenance is critical for flight safety on aircraft, effective maintenance on submarines is also an essential safety activity – especially when your submarine is capable of operating deep below the surface! Sigma Logistic Solutions partnered with the South African Navy (SAN) to provide a cost-effective, easy to use, on-board solution for the SAN Type 209 Submarine maintenance documentation. Submarines form an essential part of any modern navy. Their uses are many and varied, such as surveillance and information gathering, destruction of surface ships, destruction of other submarines, supporting conventional land attacks, and the insertion of covert forces. After the advent of South Africa’s democracy in 1994, the SAN elected to replace its existing fleet of Daphne Class submarines with new models. After bid submissions, the contract was awarded to Howaldtswerke Deutsche Werft (HDW), part of ThyssenKrupp, for the supply of three Heroine Class, Type 209/1400 diesel-electric submarines. The Type 209 Submarine is one of the most successful non-nuclear powered, post-war submarines with 63 vessels in service with 14 navies worldwide. The SAN’s Type 209/1400s are named after strong female role models: the S101 – Manthatisi, the S102 – Charlotte Maxeke, and the S103 – Queen Modjadji. The vessels were delivered and entered service between 2005 and 2008. Each has a crew of 30 and carries 14 torpedoes in addition to other armaments. The submarines have a displacement of 1 586 tonnes, are approximately 62 m long, and are powered by four MTU diesel engine/alternator sets and a single electric motor capable of producing 5 000 SHP (Shaft Horsepower). SAN “look and feel” – converting the existing material to SAN requirements. Tasks were vetted, upgraded to the SAN specification, and approved. In addition, a comprehensive update of the complete technical manual suite was done. The work also required the modification of the navy’s Computerised Maintenance Repair, Support and Supply System (CMRS) to accommodate the needs and requirements of the upgraded maintenance procedure cards. Instead of having a suite of manuals in bound, paper format, Sigma motivated and developed a simplified Interactive Electronic Technical Manual (IETM) solution based on the use of the Adobe Portable Document Format (PDF). Sigma and the SAN decided on the PDF solution as it allows the entire content to be developed and maintained using MS Word for compilation and editing, along with the modified CMRS Tool for content management run on an Access database. This gives the Navy the ability to modify and publish new content on demand, as well as to accommodate maintenance activities as they evolve with easy point-and-click access and navigation. The modified CMRS Tool, together with all the required documentation suite deliverables, content source material, and data was delivered to the SAN in December 2017 and is currently in operation on-board the Heroine Class submarines. Sigma Logistic Solutions has been providing technical documentation solutions to the commercial and defence industries for more than 30 years. We are the largest dedicated supplier of technical documentation services in South Africa and count Armscor, the SANDF, PRASA, and Bell equipment among our many local clients and Rheinmettal Air Defence, Kärcher, and Pilatus among our international clients.